This is the first mammal known to be wiped out by human-caused climate change. It has long been trumpeted that climate change will spur mass extinctions of flora and fauna, due to both the effects of climate change and the inability of evolution (which only takes place over many generations) to keep pace. And now, scientists have confirmed that climate change has drawn its first blood. A team from Australia has reported that a species of rat from the Land Down Under is the first mammal known to be wiped out by human-caused climate change. 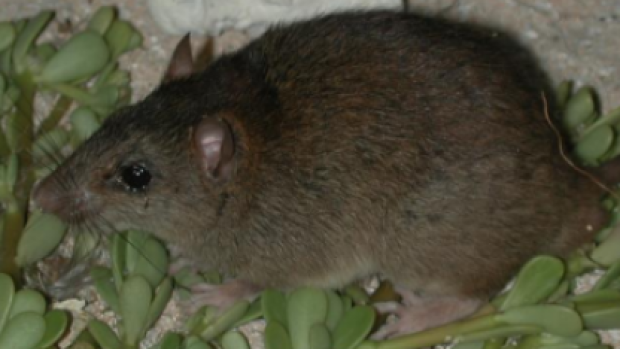 The Bramble Cay melomys, a small brown rat, is unique to Bramble Cay, a hump of coral between Australia and Papua New Guinea. The report released by the team indicates that a thorough survey of the island using small animal traps, camera traps, and daytime searches from August and September 2014 failed to turn up any of the animals. And it hasn’t gone any better since. The report cited flooding, specifically flooding due to human-induced climate change, as the key factor in the extinction of the species. Other than directly killing some of the animals, this higher intensity weather has dramatically cut the quantity and diversity of vegetation that exists on the cay, making it difficult for local species to obtain the required food and sustenance. “Available information about sea-level rise and the increased frequency and intensity of weather events producing extreme high water levels and damaging storm surges in the Torres Strait region over this period point to human-induced climate change being the root cause of the loss of the Bramble Cay melomys.” says the report. So with any luck, teams headed there will find some remnants of this species, but things don’t look all that bright for these little guys.